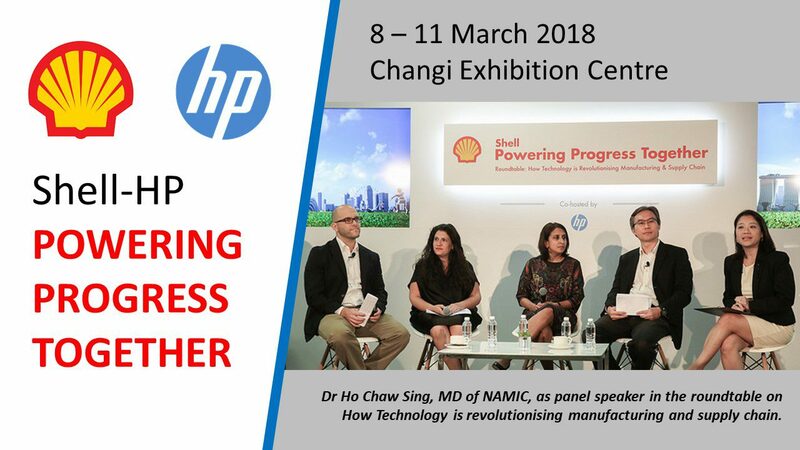 Dr Ho Chaw Sing, Managing Director of NAMIC, participated as panel speaker in the roundtable on How Technology is revolutionising manufacturing and supply chain. It was among one of the talks at the Shell Make the Future Singapore 2018. The event was held in the Changi Exhibition Centre from 8 to 11 March 2018. The 4-day festival was all about energy – the energy of new ideas and ways to address the global energy challenge.